Student activists from Warwick For Free Education (WFFE) occupied a new conference building this morning to protest the Government’s higher education reforms and Warwick’s acquiescence in them. Activists occupied The Slate at approximately 7.30am in protest against proposed changes to higher education. Their list of grievances include the University’s participation in the government’s Teaching Excellence Framework (TEF), the casualisation of academic staff and the repression of protest, according to WFFE’s press release. The Slate is a brand-new multi-million conference and training facility set to open, by the lake and Radcliffe and Scarman, this December. This facility cost £5.3 million to build and is intended for external “customers” to hire, rather than students, though income will be used to “re-invest in the University experience”. This new space has been provided while “learning, working and living conditions” are deteriorating, according to WFFE’s statement. The University is “fail[ing] to provide enough housing for students”, and hourly-paid staff are fighting for improved and fair teaching conditions. 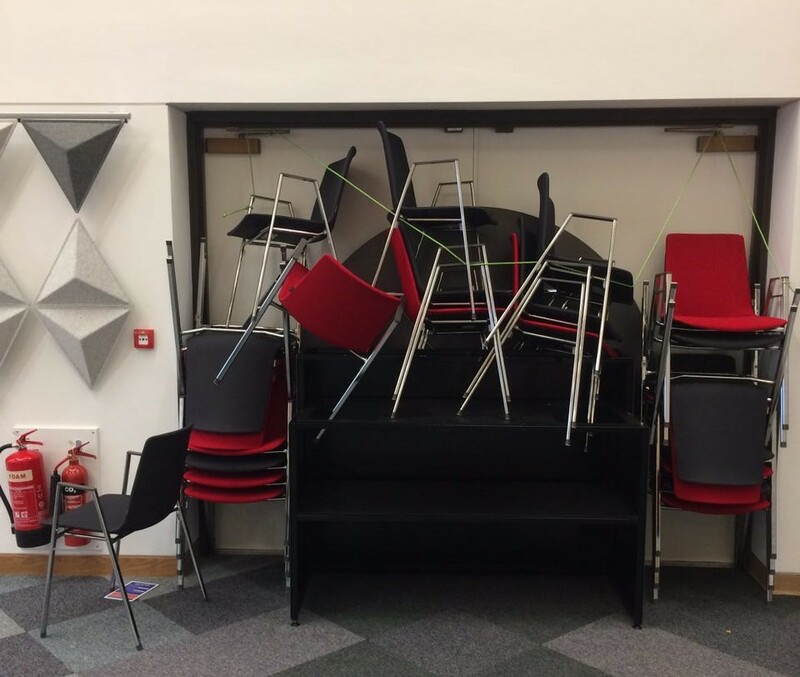 The occupation of this building is a direct response to the University’s decisions, after failing to respond to motions opposing the HE reforms, and the increasing “marketisation of education”. WFFE are also occupying against the protest injunction and the University’s actions on Dec 3 2014, in advance of the two-year anniversary of their sit-in, which descended into violence. UPDATE: Warwick is “aware of the occupation and are monitoring the situation”, according to Peter Dunn, the university’s spokesperson. Warwick SU released a statement in support of the occupation at approximately 2.46pm, explaining their primary concern is for the welfare of students in the occupation. They added that WFFE’s list of demands are supported by democratic mandate and SU policy. The SU also noted that the occupation should cause “minimal disruption” to students’ everyday lives as the building is intended for corporate conferences. Warwick For Free Education released a second statement around 3pm clarifying that the occupied space now only contains students. Occupiers also met with Stuart Croft, who has yet to make any decision on their list of demands. A solidarity statement was released by the staff union, Warwick University and College Union (UCU), just before 6pm. Warwick UCU “fully supports” WFFE’s objectives and have called on the university to lift the injunction. Halimah Manan is co-Perspectives editor for the Warwick Globalist and currently studies History and Sociology.